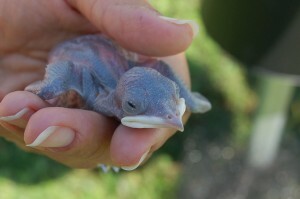 2010 Purple Martin Season ALMOST Here! We are entering the weeks where the first arriving purple martin sightings are made. Though only a few birds trickle in at first, these few birds serve the great purpose of getting us off our rear ends and away from all the holiday food and out in the back yard scrambling to ready our purple martin houses. Like many landlords, I have a few plans swirling in my head. A new gourd rack has been sitting in my garage for about 10 months awaiting its christening. (A sprinkle of water as the concrete cures) New gourds sit waiting eagerly to fill up the racks and the brand new 2010 Troyer VERTICAL Gourds will be in stock before the new year and are available for preorder now. Though photos of this new gourd are not available yet, they will be up ASAP. Yes, you heard right! Andrew Troyer, the Amish gentleman who revolutionized plastic purple martin bird houses by making the T-14 (T is for Troyer) and gourds with the introduction of the Troyer Horizontal Gourd, is introducing a NEW gourd. The Troyer Vertical Gourd is brand new for 2010 and should be available within the next few weeks. It is so new that pictures are not available yet but as soon as they arrive I will be taking photos and posting them up on the website, www.PurpleMartins-R-Us.com. 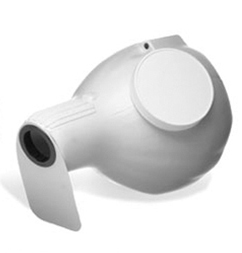 From what Mr.Troyer tells me they will feature a standard built in SREH tunnel to give the same protection of the deep 13 ” nesting area AND they will be able to be hung on standard vertical gourd arms. It’s going to be a VERY Merry Christmas! Call me a collector but I seem to be collecting quite a number of free purple martin house plans. Thanks to dedicated purple martin landlords such as John Balga and Bob n Jo, and thanks to the Pennsylvania Game Commission, I have put together a small collection of houses that the DIY can build. I even have plans for a gourd rack! Of course, I am not the handy type so I have NOT made these houses myself. I guess that is why I started PurpleMartins-R-Us. If you are like me and can’t build a birdhouse yourself, check out this large selection of houses and supplies that utilize the latest in purple martin research and innovation. Believe it or not, I did NOT start this business to get rich. I did it so that I can do what I love. If I get rich that is nice but looking at my books, that won’t happen anytime in my lifetime. So where can you get these plans? Go to the Free plans page HERE and enjoy! If you know of any other FREE house plans for purple martin houses, please let me know. And please let me know how the house you build turns out. I would love to see it. P.S. Tonight is the first night that all the fledglings have not returned at night to sleep in the Nestcam! Only one in there tonight. My season is winding down. Purple Martin supplies can be found in many places on the web. Purple Martins-R-Us.com has a large selection of purple martin houses, purple martin gourd racks, supplies for your purple martin housing, starling trap plans, english house sparrow traps, free purple martin house plans, informative articles on how to attract purple martins and protect your purple martins from predators. If you are looking for purple martin housing, we encourage you to do plenty of research on purple martin bird houses as they can be costly. What kind of housing you choose depends on your budget, your location and on your personal preferences. For instance, if you live in the northern range of the purple martin you will want to go with a wooden house over an aluminum house, for its insulation properties. If you live in a location that is not prone to severe spring cold snaps, then this is not an issue for you. 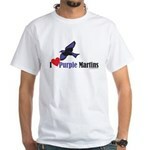 Before you make your final decision, visit Purplemartins-R-Us.com.